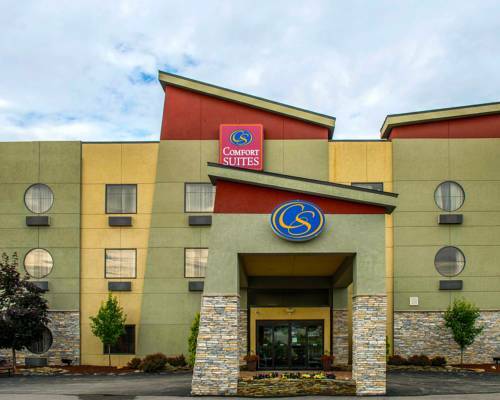 Get rested and refreshed at the Comfort Suites hotel in Monaca, PA near Pittsburgh International Airport. Nearby attractions include Downtown Pittsburgh, Kennywood Amusement Park, Phipps Conservatory and Botanical Gardens and Geneva College. If you're a business traveler, enjoy access to copy and fax services. Additional amenities include free WiFi, free breakfast, free coffee, an exercise room and a meeting room. Room amenities include flat-screen TVs, hair dryers, desks, irons, ironing boards, microwaves, pillow-top mattresses, recharge devices and refrigerators. Also, earn rewards including free nights and gift cards with our Choice Privileges Rewards program.